February 21, 2019 | 5:30 p.m. — 8 p.m.
We encourage students who are considering attending Bay Path University for the upcoming semester to join one of our Financial Aid Workshops. Get all your specific FAFSA and financial aid questions answered and receive assistance on how to finance your education. Complete and file the FAFSA (click here) online as soon as possible! 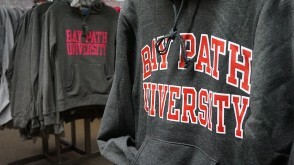 Select Bay Path University #002122.
Review award letter and contact Student Financial Services with questions. Accept award online, click here.